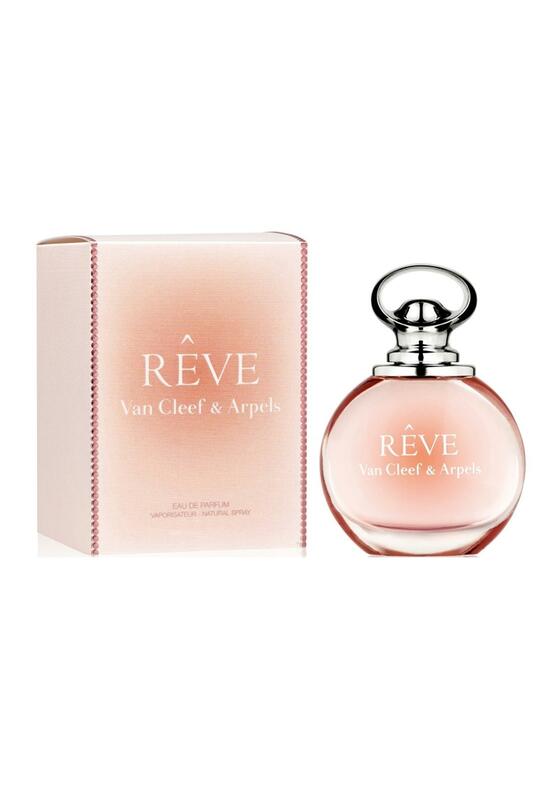 Van Cleef & Arpels invite everyone to enter their enchanted and poetic world with their fragrance Rêve. Even the design of the bottom reflects the concept of a dream with soft generous curves creating sensuality and a halo of light to reflect the freshness of the fragrance. Rêve is a creation around a delicate, fresh bouquet of white flowers with lily and osmanthus flowers at the very heart of the composition.